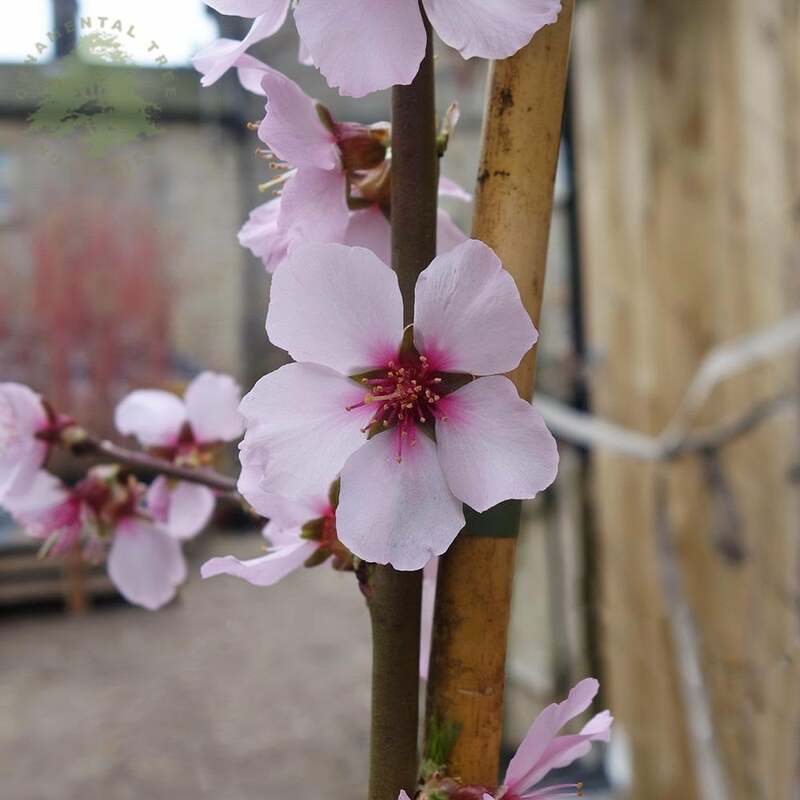 Ingrid Almond erupts into a stunning display of large, pale pink, fragrant flowers in spring. The blossom is followed by fruits with a velvety covering and containing tasty almonds that can be picked in early autumn and used for eating or cooking. With both ornamental and productive properties, this small self-fertile tree is an excellent choice for gardens and allotments. Expect Ingrid Almond to grow to a height and spread of 5x4 metres in 20 years. Plant in a sunny, sheltered position for a good crop of almonds. Alternatively, view our other edible nut trees. Our pot grown Ingrid Almond trees can be planted at any time of the year. Firstly, remove all weeds and grass within a metre of your desired planting hole. Dig a hole as deep as your root mass and approximately 2x as wide. To help your tree establish more effectively, we advise applying root grow (sprinkle in the hole for pot grown trees). If you’re planting Almond trees in spring, summer or dry weather, water well and regularly for the first few months. Increase watering if there are extended periods of hot or dry weather. If you’re planting in autumn, you may only need to water your tree a little. Irrigation kits can help.